Forever young, one of the most important Croatian musician. 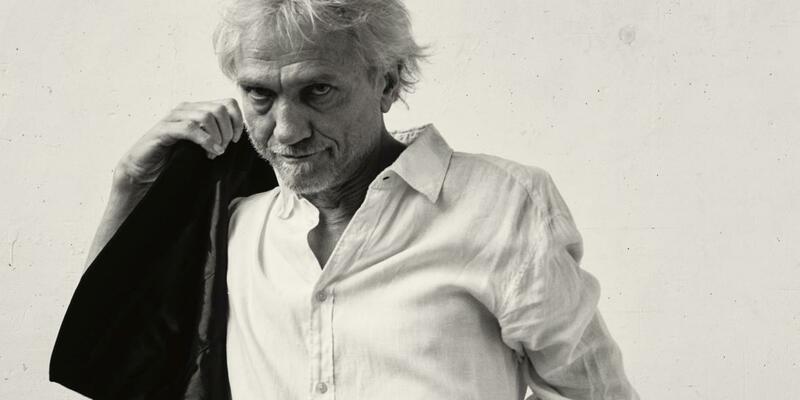 From the early eighties on a singer-songwriter, Darko Rundek (61) continuously plays one of the most important roles in the Croatian rock music. He started as a frontman of the Zagreb new wave band Haustor which released four carefully crafted albums including 1983 masterpiece Treci svijet (Third World) and connected the 80’s art rock aesthetic with various West African, Carribean and South American rhythms. After the break-up of Haustor, Darko moved to Paris and remained there for a long time, coming back to Zagreb in 1996 only to launch his solo career with the highly acclaimed album Apokalipso. It was a great success in Croatia confirmed a few years later through recording a Balkan music influenced album U sirokom svijetu and opening another chapter with the Paris-based backing band Cargo Orkestar. This multinational force of Bosnian, Croatian, French, Portuguese and Swiss musicians stayed behind Rundek on his noughties albums Ruke and Mhm A-ha Oh, Yeah Da-Da distributed worldwide via the German world music label Piranha Musik and played live on many international festivals from EXIT to WOMEX. On the next level, the 9-piece Rundek Cargo Orkestar was reduced to Rundek Cargo Trio for the more experimental albums Plavi avion and Mostovi and Darko returned to Croatia to establish a new artistic base on the Dalmatian island of Brac. Mainly acoustic Rundek Cargo Trio is still on the road but Darko is right now busy building another more electric live band for the 20th anniversary of the crucial album Apokalipso. The summer tour ApoCalypso Now will start on the INmusic Festival in Zagreb.